The Mooresville Graded School District recently adopted requirements for four large scale multimedia projects in 3rd, 6th, 8th and 12th grade. Beginning next year, students would add products from these projects to their digital portfolio. The rationale for projects, according to Edwards, is to broaden the experience base of all students. He observed the influence of socioeconomics on results as North Carolina adopted Common Core standards–performance among affluent students scores rose, while results for in students in poverty declined. Research – students will demonstrate their ability to find information on a variety of topics and evaluate sources to ensure that the information is credible and relevant. The number of sources required will depend upon the grade level. Written Paper – students will demonstrate their ability to analyze, synthesize, and process information gathered from a variety of quality sources into a well-written, grammatically correct paper. The length of the paper will depend up on the level of the Gateway Project. Digital Product – students will demonstrate their ability to create a digital product related to their topics as a way to further explain their topics. The type of digital product created will depend on the level and ability of the student. Presentation – students will demonstrate their ability to effectively articulate the information related to their topics to an audience. The audience may include other students, faculty members, parents, and community members. Teachers are developing rubrics in order to evaluate the Gateway Projects. Distributed leadership. Many districts have delegated–really capitulated–leadership to the school level creating hoping they will figure out how to leverage technology to reach higher standards. Mooresville, on the other hand, is taking a systems approach–common goals, a collaborative culture, and shared practices, tools, and systems. This sort of enterprise approach usually feels top-down but Edwards had developed a system of distributed leadership in Mooresville where teachers have a say and feel supported. When I visited the Mooresville summer institute, the distributed leadership was evident throughout the program. Teachers and principals clearly have important roles in defining challenges and solutions. Teachers have 10 dedicated early release days a year. High school teacher Nancy Gartner leads the training for the teachers. Middle school teacher Bethany Smith leads training in Mooresville (and other districts) on project-based learning and digital conversion (President Obama visited her classroom in June). The Gateway initiative is led by Dr. Crystal Hill, Executive Director of Elementary Education, and Dr. Stephen Mauney, Executive Director of Secondary Education. 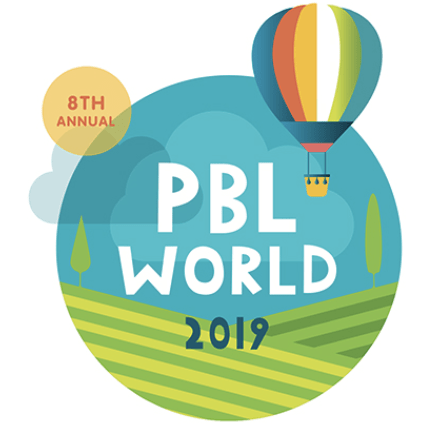 The project-based learning framework is a work in progress but it is already a great example of leading for deeper learning and better college and career readiness.